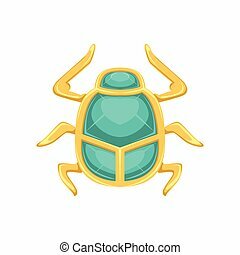 Egyptian scarab beetle. 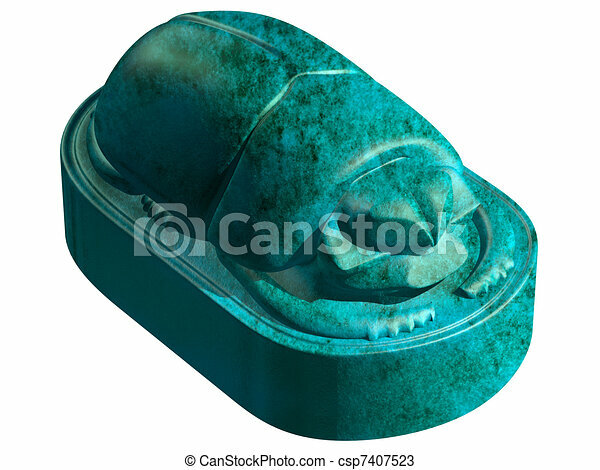 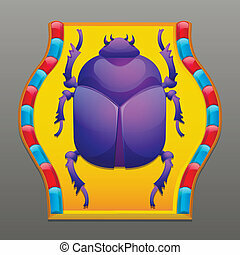 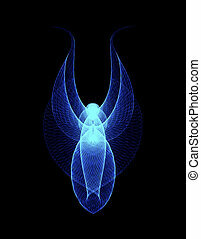 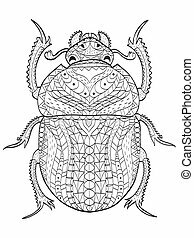 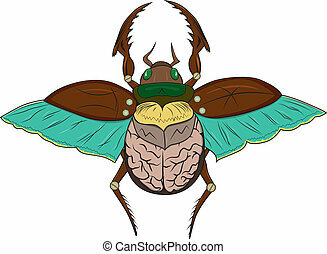 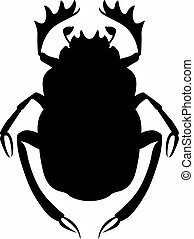 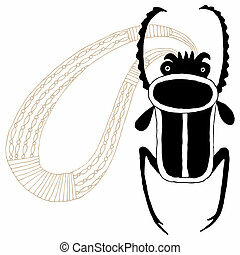 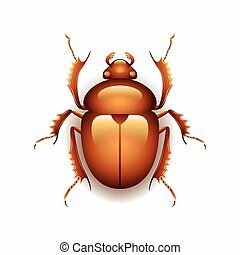 Isolated illustration of an ancient egyptian scarab beetle. 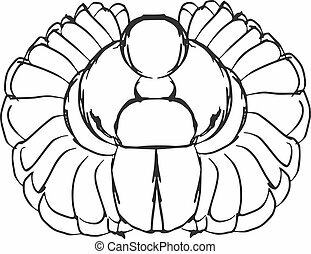 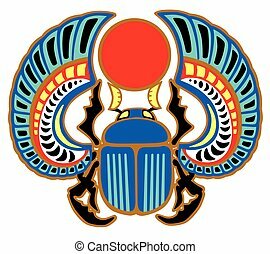 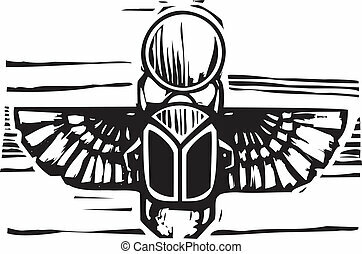 Woodcut style an Egyptian winged scarab beetle holding the sun. 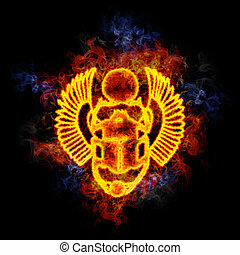 Egyptian scarab, covered in flames.